David Reznik is a graduate of Emory College and Emory University’s School of Dentistry and is the Director of the Oral Health Center of Grady’s Infectious Disease Program, a program he founded 27 years ago. He also serves as Chief of the Dental Service for the Grady Health System. 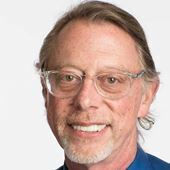 Dr. Reznik is president and founder of HIVDent (HIV Dent Alliance), a not-for-profit organization of concerned healthcare providers committed to assuring access to high quality oral health care services for people living with HIV disease. Dr. Reznik has lectured and published extensively on HIV and oral health. He has also helped set up oral health programs throughout the United States for Ryan White HIV/AIDS Program (HAB) grantees and serves as a clinical site visitor for HAB grantees. Dr. Reznik is a 2016 Robert Wood Johnson Foundation Clinical Scholar. Dr. Reznik was a member of the Presidential Advisory Council on HIV/AIDS and was honored at the 2008 Ryan White All Grantees meeting with the HRSA – HIV/AIDS Bureau - Associate Administrator’s Award: “For his years of passion, dedication commitment and national leadership on HIV oral health care, and for serving as a champion for national health care provider education." 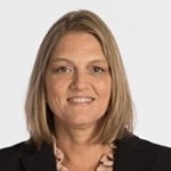 Hope Bussenius earned a doctor of nursing practice degree at Georgia Health Sciences University in 2012, a master's degree in nursing from Emory University in 1993, and a bachelor's degree in nursing from the Medical College of Georgia in 1990. Her clinical practice consists of over 20 years as a Family Nurse Practitioner in both in-patient and outpatient clinical setting for vulnerable populations. Additionally, she has served in the United States Navy Reserves as a Lieutenant, conducted research at the AIDS Research Consortium of Atlanta, and serve as faculty coordinator for the Lillian Carter Center for International Nursing in Haiti developing teaching strategies focused on health, health promotion, professional nursing, and human responses across the lifespan. She also partnered with The Carter Center and participated in the 2017 and 2018 Health Program Reviews for Haiti. In 2012, she started the Take 2 Heart: Pedia BP® Program, a smartphone app to simplify tracking blood pressure readings in pediatric patients. Pedia BP® is now linked to the Take2Heart registry that shows real-time data from blood pressure screenings among children and adolescents in Atlanta, GA and around the world. In 2017, as part of the RWJF Clinical Scholars grant, she developed her second smartphone application, OH-I-CAN®, connected to the OH-I-CAN registry. The OH-I-CAN consumer app is a tool for needs assessment and data collection to improve oral health disease in low-resource communities.